Since 1978, Stuart Friedman has concentrated his practice in estate planning and trust administration, including representing closely held corporations and high net worth individuals with complex estate planning needs. Mr. Friedman has extensive experience in federal estate and income tax matters, and has represented many estates, corporations and individuals in disputes before the Internal Revenue Service and the United States Tax Court. On behalf of clients in Illinois, Indiana and Florida, he drafts complex wills and trusts, family partnership agreements and charitable trusts, and handles all other aspects of highly sophisticated estate planning. Also in connection with his estate planning practice, Mr. Friedman drafts corporate buy-sell agreements and represents shareholders in disputed matters involving closely held corporations. 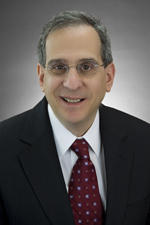 Mr. Friedman joined Hinshaw & Culbertson LLP in April 2009. Previously, he was the Corporate Secretary, Shareholder, Director and name partner of Pinkerton and Friedman, P.C., a Munster, Indiana, law firm where he practiced since 1978. In 2007 he was certified by the Indiana State Bar Association as an Estate Planning and Administration Specialist. “Practical Planning in the Light of the Tax Relief Act of 2010 / Life Insurance in Estate Planning,” Hinshaw Breakfast Briefing for Accountants, Schererville, Indiana, October 2011. “Estate Planning Issues of Interest,” Northwest Indiana Chapter National Association of Insurance and Financial Advisors, Merrillville, Indiana, March 2010. “Indiana Inheritance Tax / Federal Estate Tax,” Hinshaw’s Breakfast Briefing for Accountants, Schererville, Illinois, October 2009. Mr. Friedman has conducted numerous workshops and seminars regarding estate planning and wealth preservation matters for estate planning professionals, including life insurance agents and accountants.